Piracy is a crime! ARRRRGH! How many of you actually spend money on iTunes and other “legit” or “legal” sites to purchase your movies and or music? Good for you! Let me congratulate you on being honest and trustworthy in your selection of media! As for me? Well I mix and match different things in the experience. When I say this I mean, I get media both “legitimately” and “Illegally”. Now I know what you are going to say, “aren’t you hurting the record companies and movie studios by doing this?” And to answer this, yes I am. But I don’t do it to a large extent. Unlike some people I know, I use pretty legit methods to obtain my media. I use services like Rhapsody and Graboid for music and movies. Rhapsody is legal. You pay $10 dollars per month and you can stream all of the music you want! Or if you have an iPhone or Android you can simply download the songs directly to your device! This is exciting news for someone like me! I don’t have to worry about going to jail and I can listen and watch pretty much whatever movies and music I desire! On the other hand, some people including me use “other” methods to obtain our fix of music, movies, and other media. You know what I’m talking about too. Torrent sites! Now these sites are usually not run in the United States simply because they would be shut down swiftly. I prefer sites like Piratebay.org and TorrentReactor. These sites deliver fast and secure files if you know what you are doing. But should these sites be legal? Because the process of peer-to-peer sharing is legal in the greatest since. That’s what these sites use. They do not host the files or bandwidth. Instead they use other users to upload torrent links and the uploader has the luxury of hosting the actual file. This step right here is cause for much legal debate. If the site is not directly hosting the file, then how could they be responsible for its content? And there is rebuttal to counteract this statement. They provide the files and a direct path to them. So this in itself is reason enough for the sites to be liable. Which is why many in the U.S. do not wish for these sites to be legal here. Or hosted on U.S. servers. 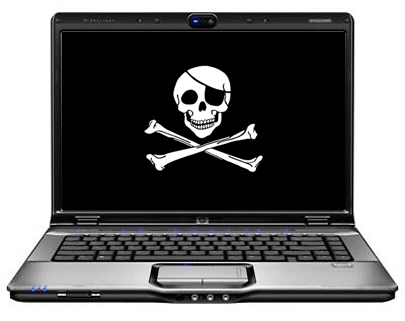 Should torrent sites be legal here in the U.S.? Should the hosting of illegal media be legal? « Netflix Is Killing My Education!